Lavender oil is one of my favorite essential oils. I love the scent and find it very relaxing. In addition to its wonderful scent, lavender oil has some very useful healing properties. You can use it to treat burns & scalds. Some view it as a natural antibiotic. It has antiseptic properties, promotes healing and reduces or prevents scarring. You can also use it for teas, tinctures and for baked goods. 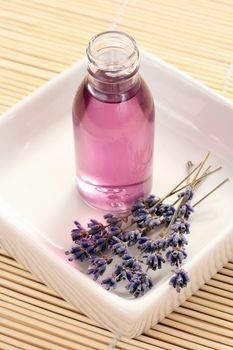 Lavender was also thought to be an aphrodisiac. Making infused lavender oil is really very easy. The biggest challenge is finding lavender flowers for the infusion. If you don’t have any lavender growing near you, you can get organic lavender flowers here at Mountain Rose Herbs. Click on the How to Make Infused Lavender Oil link below for a simple tutorial on making infused lavender oil.